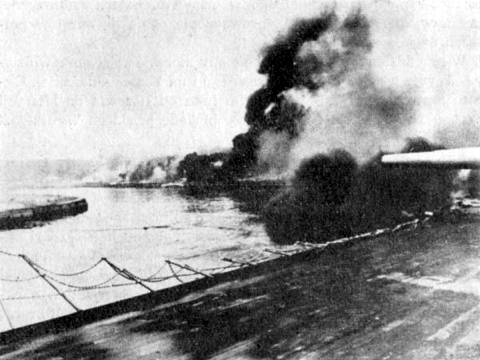 Seventy-five years ago today, in the early hours of September 1, 1939, Adolf Hitler‘s Wehrmacht began its Blitzkrieg on Poland when the dreadnought battleship SMS Schleswig-Holstein fired on Westerplatte in the Free City of Danzig. 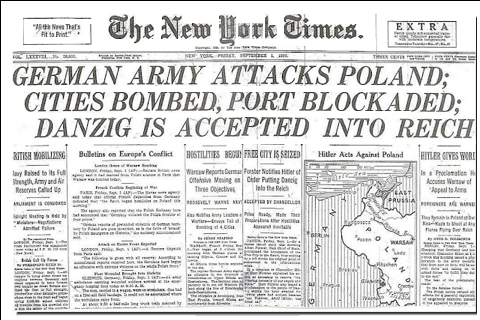 The invasion of Poland had begun, inaugurating World War II. The Nazis had marked Danzig (modern Gdansk) for their Schwerpunkt (break-through point). Danzig fit military criteria for such an attack, according to principles published in 1937 by Nazi general Heinz Guderian in Achtung – Panzer!, thanks to Germany’s flanking of the Polish Corridor, in which it lay. It also fit Hitler’s long-time plans for Drang Nach Osten and ideological need for German Lebensraum (the Nazi version of Ostsiedlung). 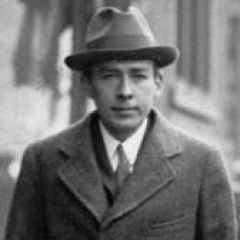 The accumulated experience led Chambers to take drastic action and report about Communist infiltration directly to the U.S. Government as high as he could reach: Adolf Berle. It would be the first and only time he would take such action. Thereafter, disappointed, he would await (and come to dread) federal questions, which he would answer less and less openly. The Nazi invasion of Poland of September 1, 1939, for Chambers led more or less directly to his HUAC testimony on August 3, 1948 — nine years later.